BUFFALO, NY – Oishei Children’s Hospital announced today the addition of Joe’s Deli to the Hospital’s dining options. 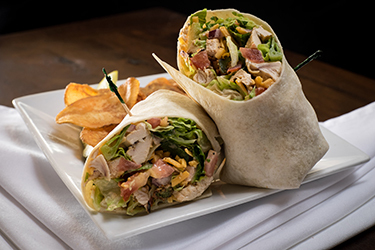 Opening this November, the Buffalo-based deli known for their award-winning, specialty sandwiches, soups and wraps will provide healthy, homemade options from 11 a.m. – 9 p.m. daily. Located on the Hospital’s second floor, Joe’s Deli will feature fan favorites from their three other locations including Jimmy’s Cuban, Reuben, The Cutlet, Gill’s Tuna Monster, I Love Lucy and Sweet Baby James, among others. 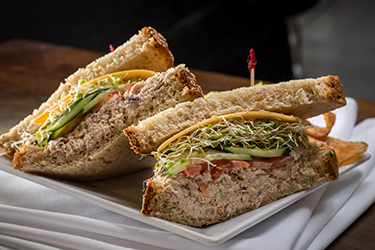 In addition to the made-to-order sandwiches and wraps, offerings will include a soup station featuring four choices daily, ready-made hot entrée and sides, a salad bar, kid’s menu and a grab-and-go-cooler for people on the move. All menu items will be made fresh daily with seasonal, locally-sourced fresh ingredients. Open 365 days a year, Joe’s Deli will provide an online pre-ordering platform and offer a loyalty card to reward frequent customers. The location within the Oishei Children’s Hospital marks the fourth Joe’s Deli location with others including the original location on Hertel Avenue along with Elmwood Avenue and Maple Road in Williamsville. 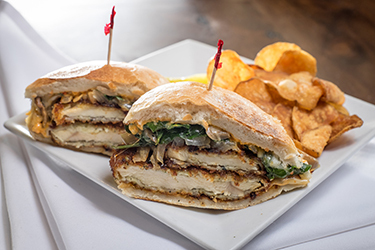 Taking after a tradition started on Hertel Avenue of customizing a menu item for each location, Joe’s Deli will work alongside Oishei Children Hospital staff to create a signature “OCH” sandwich available exclusively at the Hospital. Joe’s Deli will join other dining options including Tim Hortons at the Oishei Children’s Hospital and Conventus Café at the Oishei Children’s Outpatient Center as well as a cafeteria in Buffalo General Medical Center. For additional information about the upcoming move of Women & Children’s Hospital of Buffalo, visit www.ChildrensIsMoving.com. To learn more about Joe’s Deli, visit www.joesdeli.com. The Oishei Children’s Hospital will replace the current Women & Children’s Hospital of Buffalo, which is located on Bryant Street. The historic project will right-size and consolidate services in a 12-floor, 185-bed, freestanding, modern facility on the Buffalo Niagara Medical Campus. It will be an integral part of the campus, linking with Buffalo General Medical Center, the Gates Vascular Institute, Roswell Park Cancer Institute, the new University at Buffalo Medical School and more. Not only will the Oishei Children’s Hospital be the link for the Buffalo Niagara Medical Campus, but the hospital today – and in the future – will be the only link for comprehensive pediatric health care for Western New York. The Oishei Children’s Hospital ensures pediatric and maternal services remain available for patients in the Western New York region. The vision for the new hospital is to be recognized as the innovator, the highest quality, highest value provider and partner, and the regional referral center for women and children’s health care for Kaleida Health, Western New York and beyond. It is the only access point for pediatric critical care, Level III neonatal intensive care, and Level 1 Pediatric Trauma Centers in and for Western New York. The sickest babies and children come to the hospital for care, either directly or through transfers from other hospitals. Without the resources available at Women & Children’s Hospital of Buffalo, these young patients would have to travel out of the area for care.